This post on Stylish Ankara Kimono Dresses is actually not about the origin of kimono(ankara kimono as the case may be) but rather a collection of pictures of beautiful trendy and stylish ankara kimonos you could rock anywhere. Are you asking yourself, how to wear a kimono with a dress? what to wear under a fashion kimono? how to wear a ankara kimono with jeans or any other ankara kimono related questions? this post is here to address that. The collection of stylish ankara kimono dresses would give you examples and of course inspiration on the best and perfect fashion combination of ankara kimono dresses. When a kimono is first mentioned, what pops into your mind probably isn’t this long, sheer, cardigan-type of clothing, unless of course you have seen one before, but indeed, Kimono jackets or cardigans are amazing. They are perfect for warmer weather because they’re light and airy but still cover you up if you’re chilly or you just want something on your shoulders. They come in all sorts of beautiful patterns and can be worn with absolutely everything. Kimonos come in two forms – full coverage (like a mini dress) or could be long also or just a shoulder cover-up (cardigan shape). The good thing about kimono is that you can wear it as an alternative to a blazer to the office but just be sure the ends are neatly tailored and stick to a simple print. Seriously, rocking the kimono now especially in this heat period pays. 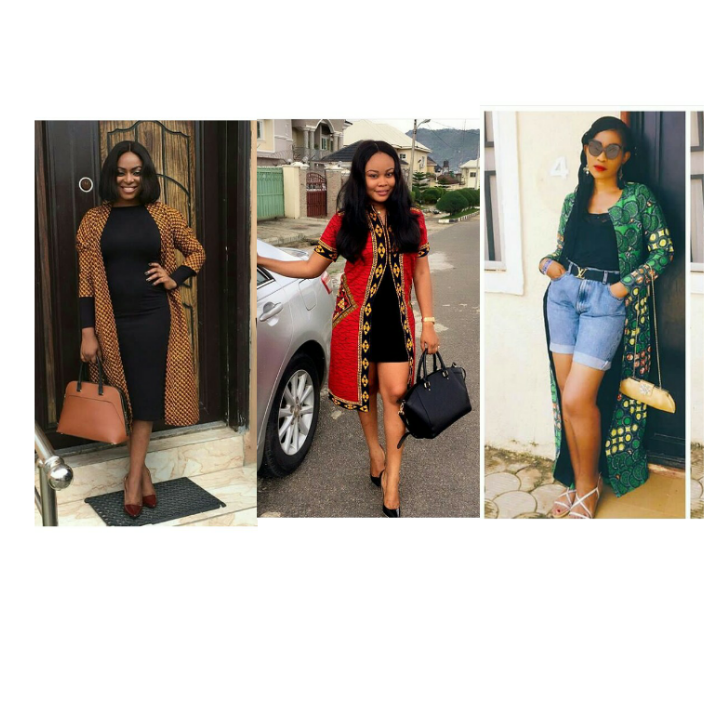 So, fashion divas, here are few tricks (pictures) on how to rock your kimono jacket in stunning ways.